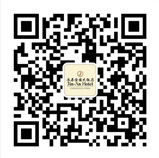 Jin An Hotel Changchun is an international business hotel. The hotel’s main entrance is located in 499 Xinhua Road. Hotel has convenient transportation and elegant environment. It’s only 50 minutes drive from the Longjia International airport and 15 minutes drive away from the Changchun railway station. Hotel is located in the heart of the city. You can reach the luxury boutiques, Wal-Mart supermarket, shopping malls, cinema and banks within mere minutes. 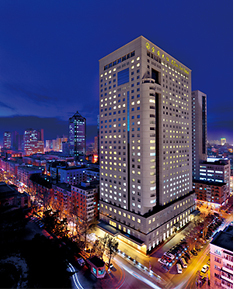 Jin An Hotel Changchun has 568 luxury guestrooms. Our spacious guestrooms incorporate generous work area, bedrooms designed to enhance the sleep experience, generous bathrooms. High speed internet connect and WiFi connect are available in every guest room. Fax machines are available in Deluxe room level above. Located in northern China and operating as a modern metropolis, Changchun is known for its automotive industry city. Jin-An Hotel is situated in the very heart of the city, making it truly convenient for guests to gain access to some of Changchun’s entertainment, commercial and business venues. It is just take a mere 10-minute walk to commercial district，Wal-mart supermarket and Ren-min Square subway station. Built to satiate the lifestyle of the well-heeled, we have a fully-equipped on-site gymnasium, a heated indoor swimming pool, a rejuvenating sauna room, spa and massage services, various business conference rooms for either business or leisure.